The American encounter with Buddhism begins in the middle of the nineteenth century when Chinese workers and immigrants arrived in Hawaii and on the West Coast. 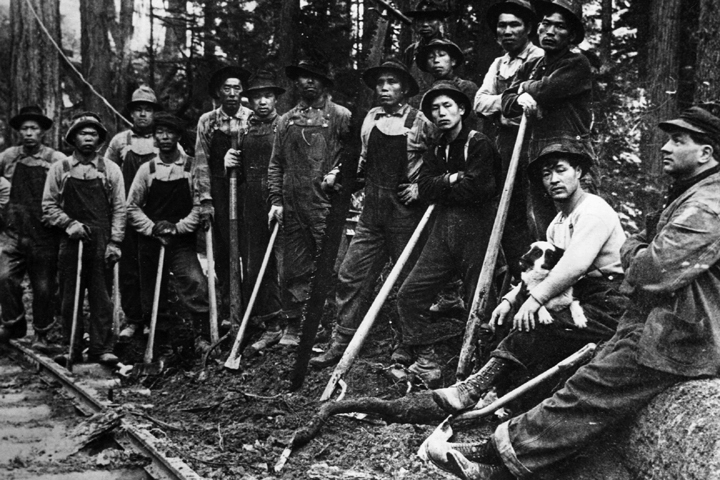 They came during the Gold Rush to the land they called “Gold Mountain.” Some became miners and others farm hands, fishermen, loggers, and construction workers on the Central Pacific Railroad. The Chinese immigrants built temples supported by various “associations” which drew membership from particular districts in China. The Chinese brought with them images of the Buddha and of the Bodhisattva of Compassion, Guanyin, as well as the complex religious worldview informed by Buddhist, Daoist, and Confucian traditions. By 1875, there were eight temples in San Francisco’s Chinatown, most of them housed on the top floors of Chinese association offices. The Tin Hou Temple and the Kong Chow Temple are among the oldest. 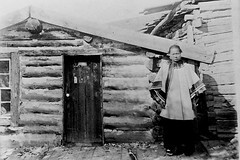 Temples in the fishing villages and mining camps were often makeshift structures and log sheds. The historical temple in Weaverville, California, preserves an example of this era of temple building. By the end of the century, hundreds of Chinese temples and shrines could be found along the West Coast and in the Rocky Mountains. In the Montana territory, there were Chinese annual rites for the deceased as early as 1869. There were Buddhist communities in Helena and Butte. In 1860, one-tenth of the population of California was Chinese, and in 1870, one-tenth of the population of the Montana territory was Chinese. 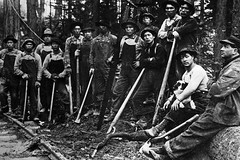 The Japanese began to come in the 1880s. Japanese immigration was far more controlled than that from China. 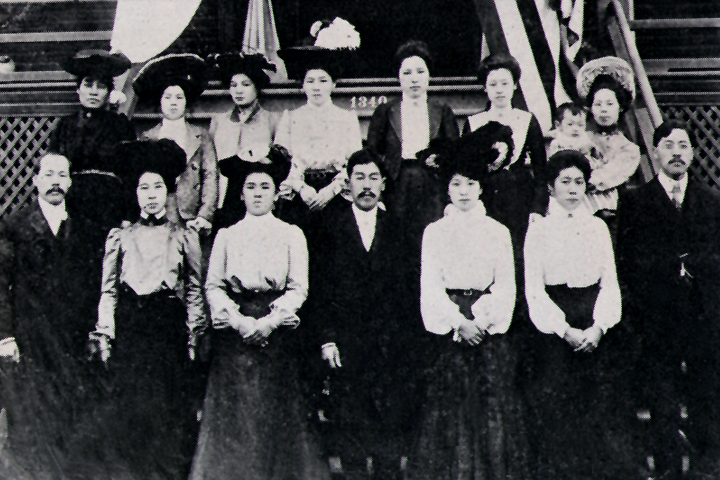 Immigrants were often screened by and received support from the Japanese government. The Japanese immigrants, especially those belonging to the devotional Jodo Shinshu Buddhist school, also established their religious organizations and temples. In 1898, the Young Men’s Buddhist Association and the Buddhist Mission of North America were established; by 1912, there were twenty temples, headed by ordained priests sent from Japan. 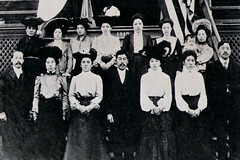 These “missionaries” helped to nurture ties between the first and second generations of the Japanese-American community. They provided a level of institutional support that the Chinese immigrants often did not have.